It's an exciting time to visit the Big Island with the Kilauea Volcano providing never-before-seen exciting lava views in two separate areas! Make sure to visit our favorite & definitely the most unique & most eco-friendly accommodation in all of Hawaii - Lova Lava Land Eco-Resort! Currently, there are 2 options for island hopping: 1) Flying or 2) Ferry service that has a limited schedule between Oahu, Maui, & Kauai (with service slated to start to the Big Island in 2009). You can buy interisland tickets from Hawaiian Airlines or GO! Airlines (Aloha just went out of business in 2008 and Go! is bankrupt, and may stop operations at any time (so be wary of buying tickets). Their online booking engines work great and travel agents will rarely be able to beat the lower fares on their websites (although if the lower fares are taken, consider changing your schedule or checking around more - the websites will help you find days and times that offer the lowest fare). Expect to pay around $49-$90 + taxes & surcharges for a one way ticket. (Round trip tickets are not cheaper.) *With the recent increase in oil prices & more airlines going out of business, prices are somewhat unstable and who knows what will happen next. We try to book as soon as we know our dates due to the current unstable nature of the industry. Interisland flights run surprisingly often, usually once an hour although late night flights are not possible. In many cases, but not always, stops in Honolulu are required. To save time, try to avoid the Honolulu stop if you are not stopping on the island of Oahu anyway. Yet, be aware the flights with no Honolulu stopover usually book up faster. 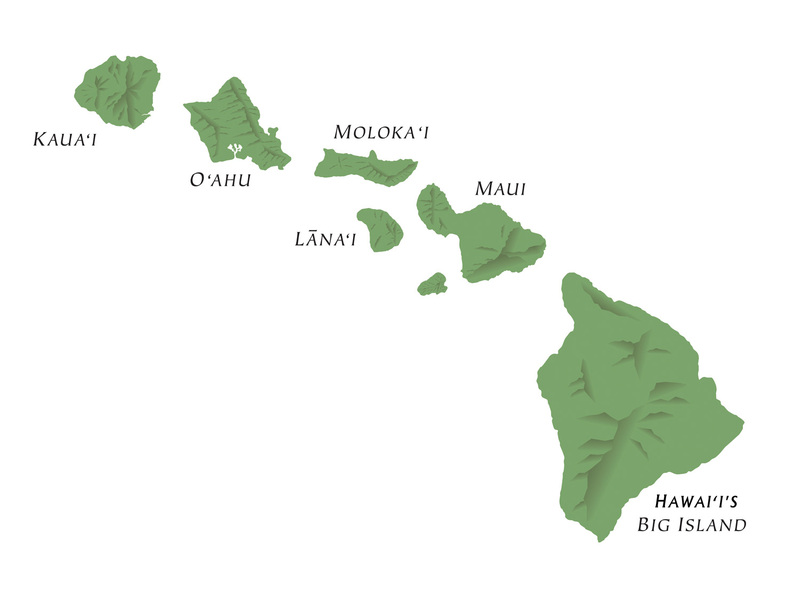 Be aware that flights to Molokai and Lanai, the two least visited islands, run less frequently. *There are several smaller commuter airports on several islands but it is highly unlikely that these are cheaper or more convenient for the traveler unless you have a very specific and time sensitive itinerary. These are not mentioned here. There is a ferry from Lahaina, Maui to Lanai through Expeditions Lahaina-Lanai Ferry (808-661-3756). There is a ferry + van tour or car rental to Molokai from Maui via Maui Princess (808-667-6165). There are some smaller airlines servicing Molokai & Lanai (Island Air, Pacific Wings, Paragon Air, & Molokai Air Shuttle; check for current operational status & availability). Car rental is cheap, abundant, easy, and highly recommended while island hopping. Only Oahu has a comprehensive public bus transportation system. Taxis are available on most islands but are not necessarily cheap, easy, or reliable. Some hostels/hotels offer airport pick-up services but then without a car your freedom to explore, buy your own food, and create your own free tours, will be limited. A new inter-island ferry service, called Hawaii Superferry, began in 2007. Service has been somewhat unreliable and controversial. But try it out if you are flexible and prefer a nice ocean voyage to crowded airplanes. Sometimes their prices are cheaper than the airlines.